There are literally thousands of things to see and do in Paris. So many museums, sights, neighborhoods and shops! Only for the Louvre, they say that someone needs over 100 days to see all of his exhibits. That was what I was thinking when I was organizing my trip to Paris and I was wondering how much I could see in a week. And at that point I realized that it's better to leave some things for the next time and give myself a little free time that will create the most beautiful experiences of the journey. The Louvre is the epitome of the museums. Notre Dame is a masterpiece. The Champs-Elysées are the most famous avenue in the world. But ... If you ask me today, after two trips to Paris, the experiences as detailed below, are those who created the most beautiful memories for me. When you think of Paris, the first thing that will come to your mind is the Eiffel Tower. And you may have heard many say it is a bunch of irons, without a trace of beauty and charm that justifies its reputation but I think they are unfair. So if you want to see the beautiful side of the city's most famous sight, do not just walk down the street and take some pictures. Do not either spend your time and money to climb up. Take a bottle of French champagne or wine and sit down, observing the world going through and seeing it lit up as darkness falls. Marais is without a second thought my favorite area in Paris. And not just mine, since the former Jewish neighborhood is now considered the most vibrant and lively neighborhood of the city. Although located in the heart of Paris and always full of people, it simultaneously exudes an air of calm and warmth that takes you to another era. Let yourself wander and get lost in the beautiful narrow streets and admire the buildings with the impressive architecture. 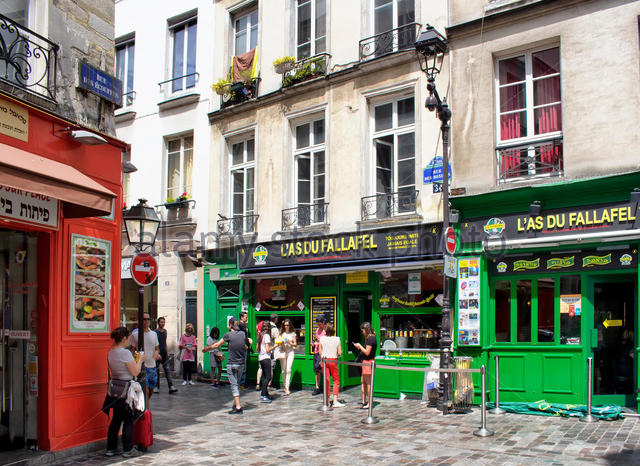 Visit some of the dozens of shops and galleries, drink your coffe at one of the cafes or taste the best falafel in the city (More details about where to find the best falafels in Paris here)! 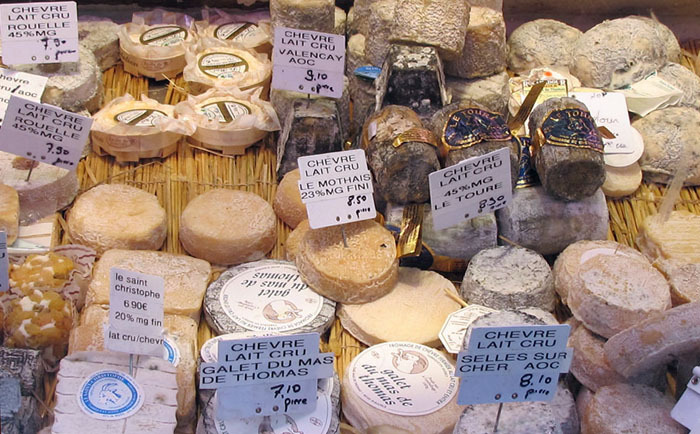 Have you ever been to an authentic French Fromagerie? If not, Paris is the right place to do it. Fromageries are shops that sell all sorts of cheeses that can be found in this country. In Paris, you will come across a Fromagerie on almost every corner. 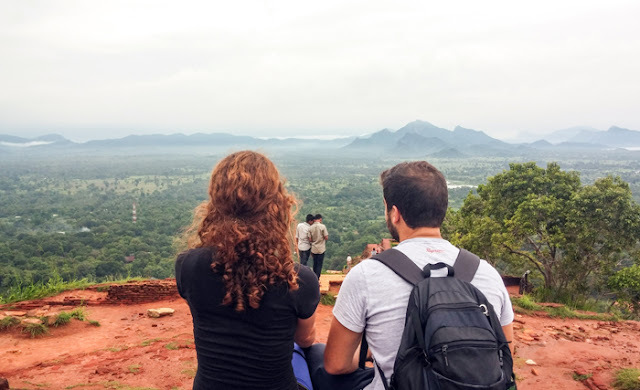 It's a very special and 'smelly' experience that's worth living during your trip. The majority of French cheeses smell really bad (I will never forget the first time I bought some cheese from a Fromagerie in Bastille, with Alex insisting that I will get poisoned if I eat it!). So you can imagine the smell that prevails in these shops. But do not be afraid! Buy the cheese that smells more intense. You may be surprised! The Printemps is one of the many department stores in Paris, but this is not the only reason to visit it. But there is a little secret that makes this department store on Street 64 Boulevard Haussmann special. And this is Déli-Cieux, the cafe located on the top floor of the building from which you can enjoy the panoramic view of the city. After your shopping, take the elevator up to the top floor and then climb the stairs to reach the rooftop. 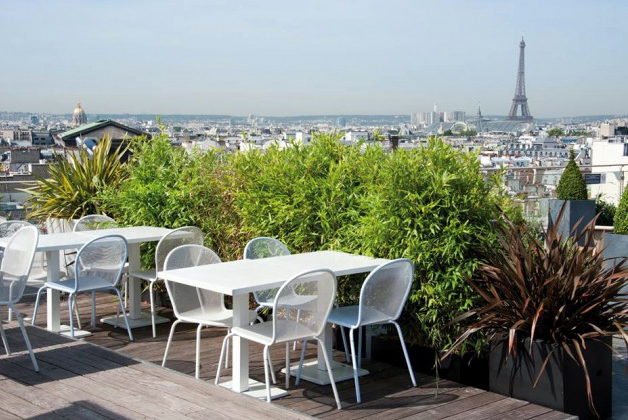 If the weather is good sit outside and drink your coffee over the beautiful Parisian rooftops, watching the Eiffel tower on one side and Montmartre on the other. Is it possible a city that is located hundreds of miles from the sea to have beaches? If this city is Paris, it is! At least from July 8th to September 3rd. In some places, the river banks are covered by sand, umbrellas and sun loungers, as well as some other places in the city, such as the Town Hall, in front of which one can even play beach volley. 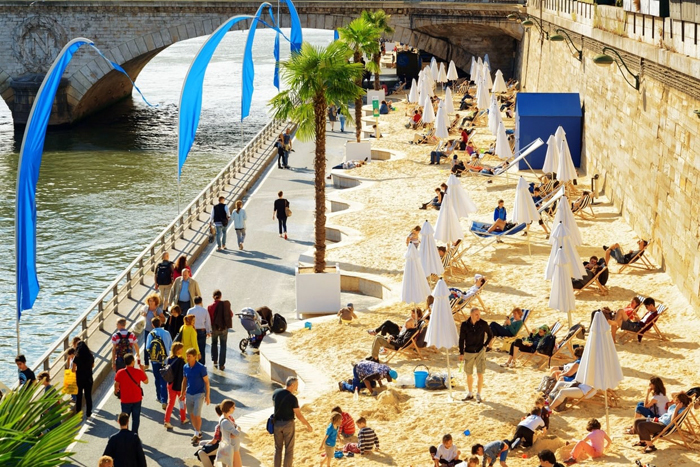 So, if you are in Paris during the summer, you can take a break between your visits to the city's sights and spend a few hours relaxing on a sun lounger on the banks of the Seine. My husband and I love European cheeses! Sounds like a French Fromagerie would be right up our alley if we go to Paris. I'm so happy you liked my list! Thank you so much for this list! I'm heading to Paris in a few weeks and am totally going to check out the beaches. I am sure you will have a perfect time in Paris.Enjoy the beaches!